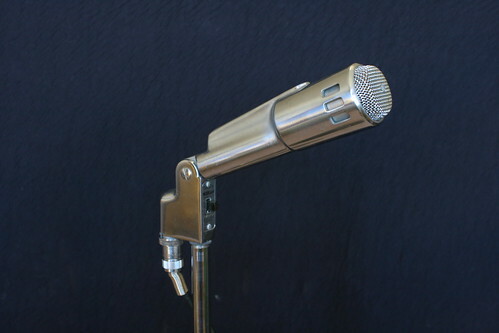 In a previous entry, I talked about a cool old mic, an Electro-Voice 664 dynamic mic from late 1950 to early 1960s, I had in for repair. I found one for sale for cheap. It's a little different from the one I had in for repair. This one has different side vents, and a different label and logo. 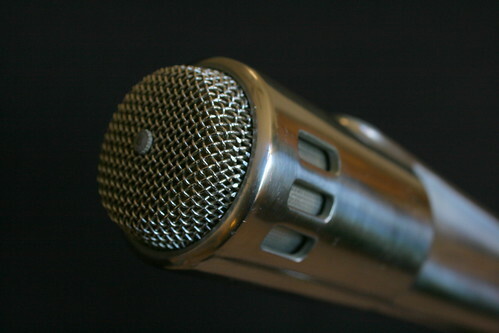 The four pin cable connector at the mic end is a bit different too. It's easy to change from high to low impedance just by pulling the pin out from position 2 to 3. On the first mic, I had to resolder the wire into another pin. Here are a few pics of this mic. My EV664 - side view. It sounds pretty decent, but it needs a bit of eq. 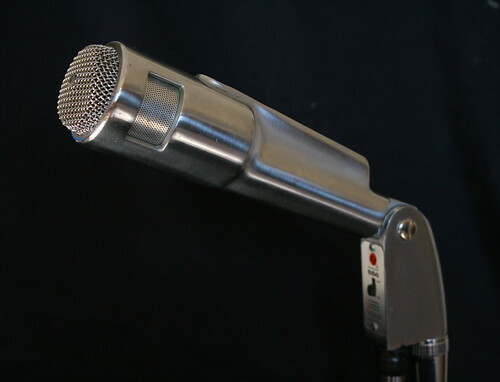 Right now I have it set up as my talk-back mic, but I'll probably try it out on a few instruments. I've heard people use it on kick drum, guitar amps, and upright bass. Apparently ZZTop has used these mics on their stage show, but they had the capsules replaced. See this for example. I guess it's mostly for show. I've seen pics of Arcade Fire using them too. There are a bunch of pics here. For comparison, see the other one over here. I got this cool old microphone in for some minor repair. 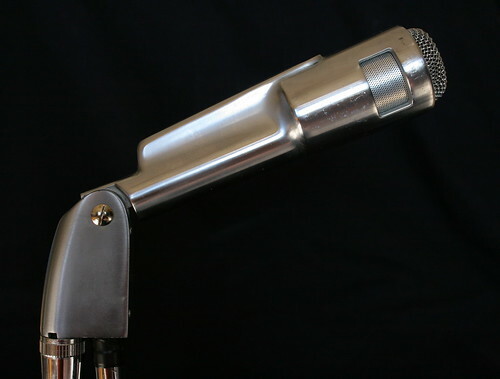 It's a classy-looking art-deco kind of mic from the 1950s and 60s, with a very durable chrome finish. Electro-Voice Model 664 - four pin connector at the mic end. This one is in really good condition, complete with a solid cable (I don't think it's the original). I soldered a modern XLR connector on the end. It appears they usually came with a 1/4" phone plug. 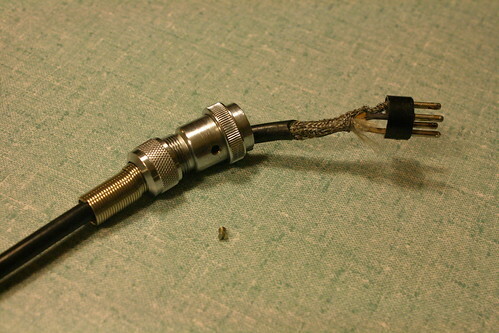 It can be set for high impedance or low impedance (150 ohms) by swapping the white wire in the four-pin Amphenol connector at the mic end. It was originally set for high impedance, which is likely most suitable for plugging into a guitar amp. I tried the mic out that way, plugged into my Allen & Heath console, and it didn't sound very good. It was a little tinny (using my voice as a source), and there was significant noise being picked up. High impedance sources are much more susceptible to picking up electromagnetic interference. So I swapped the white wire from pin 2 to pin 3 at the mic end. The instructions talk about pulling the "slip pin" out to effect this change, but this connector had the wire soldered into the pin. After the swap, it sounded way better, and the noise was gone. I pulled out a little 1 kHz and boosted about 120 Hz a little, and it sounded pretty good on voice. Looking at the frequency response, this mic really rolls off the low frequencies in order to reduce the proximity effect. 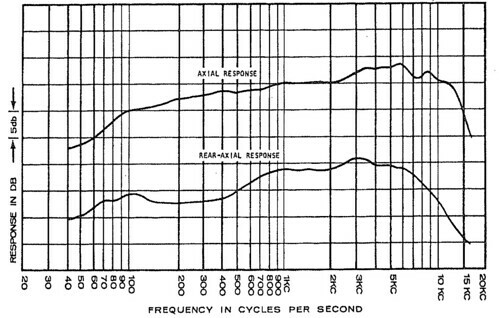 The response curve from the data sheet shows 100 Hz to be 5 dB down compared to 1 kHz, so I guess I'm levelling that off a little. There is more information on Recording Hacks, and some great pics and the engineering data sheet on Coutant's website. Read some background on the Variable-D design on ProSoundWeb and EV's website. I've got a bunch of pics on my flickr. 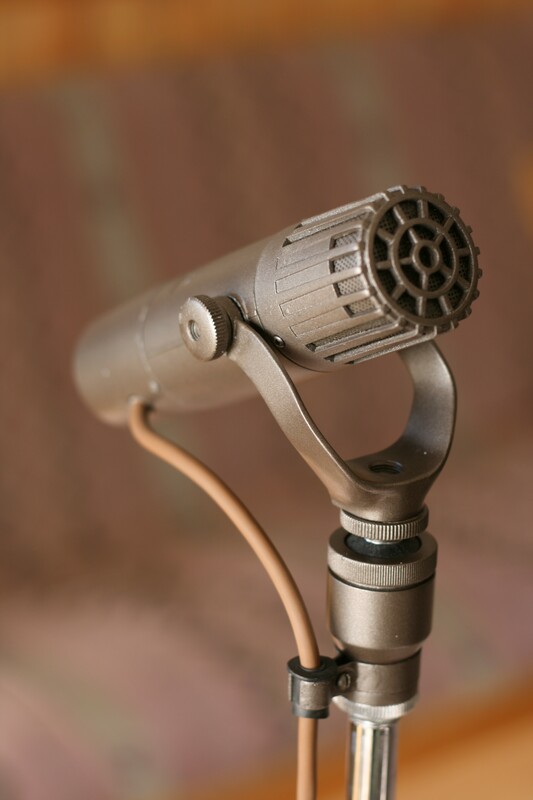 This is such a groovy looking mic, it's too bad I have to give it back to the owner!! The new cd from Back Porch Swing is now available: Back Porch Swing "Live". 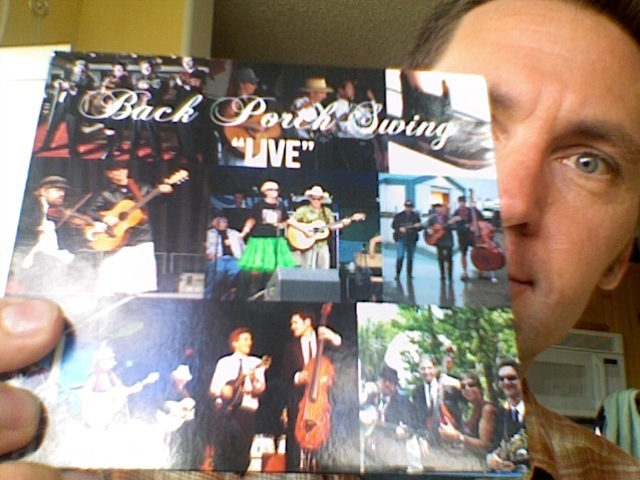 It contains a selection of live performances we've selected from the past several years of performing. I brought a small stereo recorder to our shows, and recorded the live mix from the mixing board. The sound quality is not perfect, and there's a wee bit of extra noise, but the "liveness" of it makes up for it. There are a few original tunes, and several favourite cover tunes. We have a special guest guitarist on a few of the tracks too!! For now it's only available at our gigs, but watch for more news on how to order it.